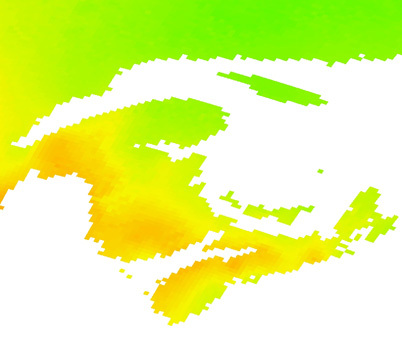 The Daily 10km Raster-Gridded Climate Dataset for Canada 1961-2003. Version 1.0 contains grids of daily maximum temperature (°C), minimum temperature (°C) and precipitation (mm) for the Canadian landmass south of 60°N. These grids, which are available in two file formats (text and GeoTIFF), were interpolated from daily Environment Canada climate station observations using a thin plate smoothing spline surface fitting method implemented by ANUSPLIN V4.3. Licence Available McGill University community for research and educational purposes only. Access Members of the McGill Community can obtain copies of the data by filling out the Geospatial Data Request Form. Please indicate which format (CSV or TIFF) you wish to have. Citation Daily 10 Km Gridded Climate Dataset: 1961-2003. [computer file]. Version 1.0, [Ottawa]: Agriculture and Agri-Food Canada. National Land and Water Information Service, [2007? ].